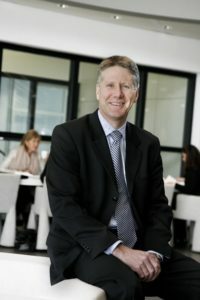 A former member of the Executive Board of Randstad Holding NV (May 2008 – April 2012), Greg Netland was responsible for the Americas Zone including the US, Canada, and Mexico. He has over 30 years of staffing industry experience starting with Sapphire Technologies in 1987 where he played an integral role in transforming an $8 million IT staffing firm with one office into a $400 million IT staffing company with 40 offices nationwide. In Part 2 of our sit-down interview with Greg Netland, Greg breaks down staffing M&A activity and attractiveness from the vantage point of sector and geography, while diving deeper into potential pitfalls. He also offers his predictions of what the next five years will look like for staffing M&A in terms of private equity investment and interest. RIX: Greg, let’s talk sector and geography. So we know IT and healthcare are hot segments for M&A activity. Healthcare staffing, actually, is seeing somewhat of a contraction within the past year, no doubt, due in some part to changing political landscapes. Will we still the same growth trajectory for IT and healthcare over the next year? What other segments might heat up? And what are we seeing from a geographical standpoint around where activity might be highest? Greg Netland: I think IT for sure seems the most stable. Healthcare has always been a little up and down, but I think the long-term drivers there are also strong. If you look at most of the top ten jobs of the future being in HC, and what’s involved with caring for an aging population, those intrinsic drivers are enough to keep healthcare going strong. While I do believe that political and regulatory factors will impact healthcare, ultimately nursing, allied health, and locum tenens are going to continue to be very attractive markets. Beyond that, a relatively small sector for temp labor but one that is definitely gaining traction is life sciences. All of the work surrounding clinical trials and pharma. There are hundreds of job codes in that sector and there are a lot of intermediaries and staffing companies that are really feeding into that ecosystem. We’ll see growth in life sciences, for sure. RIX: That’s interesting to note. Are there any sort of pitfalls that buyers and sellers should be considering at this point? Where are the giant holes in the ground? GN: One danger zone is always in when you’re buying a small company – in the range of ten to thirty million dollars in revenue. They are typically founder-led, they don’t have a lot of infrastructure, they’ve grown based on the founder’s leadership and usually a couple of great salespeople and recruiter. Those deals are risky because if you buy the company and the key people leave, the deal can be a failure. It gets safer as you get into the next tier up in revenue. The other pitfall I see is around the strategic and cultural alignment. You’ll see buyers get excited about a prospect, and they don’t think through how the acquired company would actually fit in their organization. I’ve seen many deals where a buyer values the company based on standalone numbers, and when they do the merger, the buyer’s actions cause the company to lose 20% of that valuation because they’ve done things that have led to key people leaving. So be sure to really understand the strategic and cultural fit of that company you’re buying – Are you going to integrate it? Are you going to let it stand alone? How are you going to treat acquired employees? Be really clear on these key questions before you make the buy, and be sure to over-communicate your plan to all to all involved. RIX: With that in mind, pushing the industry forward, what do the next five years look like from an M&A standpoint? GN: Barring any major downturn, my expectations are that M&A in the staffing sector will continue to be robust. Strategic M&A deals by larger firms and the proliferation of staffing investment by private equity firms will continue At a steady pace. There are legitimate concerns that there will be an adjustment in the economy, but that said, nobody that I am working with feels that there is any threat to the long-term fundamental prospects of this industry. Additionally, if you look at the SIA Top 100 List, there are around fifty firms that are over $300 hundred million in revenue. Then there are another fifty companies at $100 – 300 million in revenue. So you’ve got the top ten which are going to continue to do deals, but you’re going to see a lot of consolidation and acquisitions amongst the next thirty. Then you will see deals happening in the next group of 50 -100 on the list, as they look to break into the $300M + tier With all of that in mind, the numbers we’ve been seeing within the last five years should stay pretty steady.